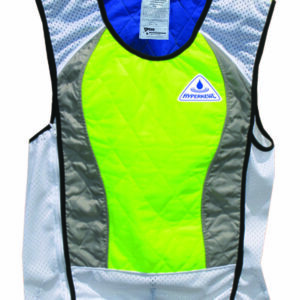 Cooling vests use evaporative cooling to keep you cool. 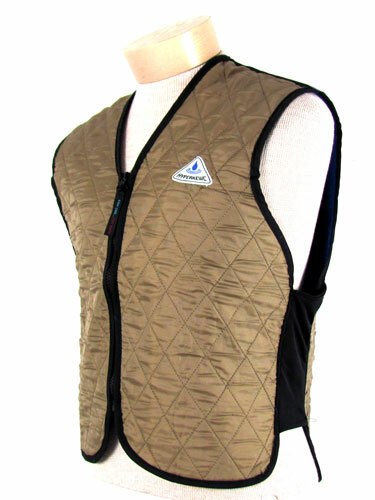 This version of the cooling vest has an open neck. 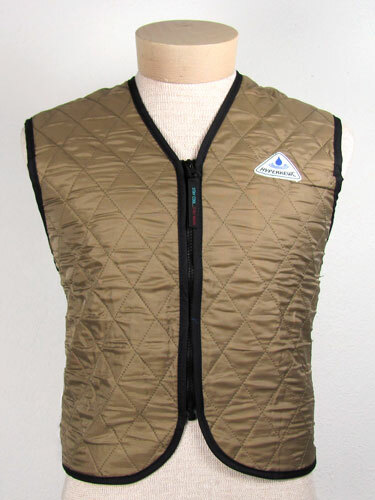 The high-neck style in cooling vests can deliver more cooling, but some prefer the feel of this open-neck style. 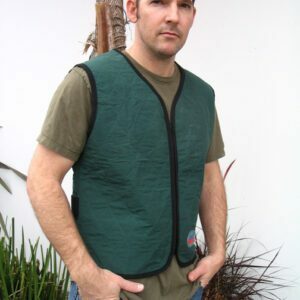 Put the cool vest in water for a couple of minutes to charge. 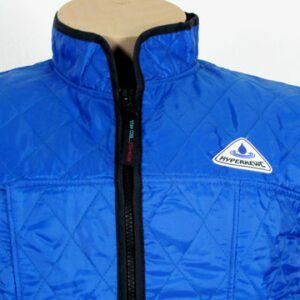 All size/color combos listed in the pull-down options are in our warehouse and normally ship by the next business day. 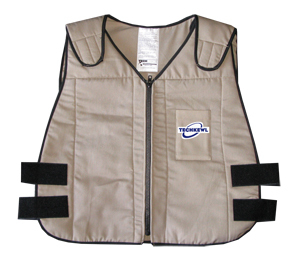 We can custom-make vests with 2-week lead time. * Sizes: XS, S, M, L, XL, 2XL, 3XL & Custom. 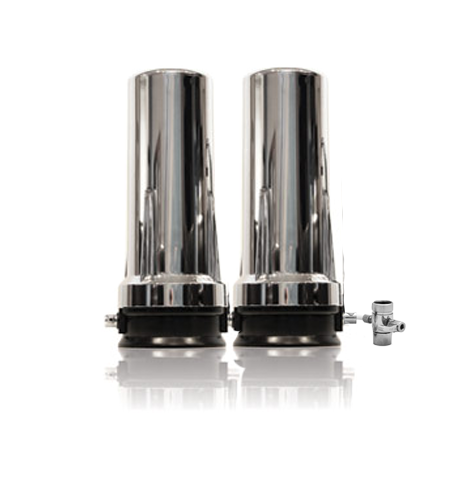 Allow 3 to 4 weeks for custom manufacture. 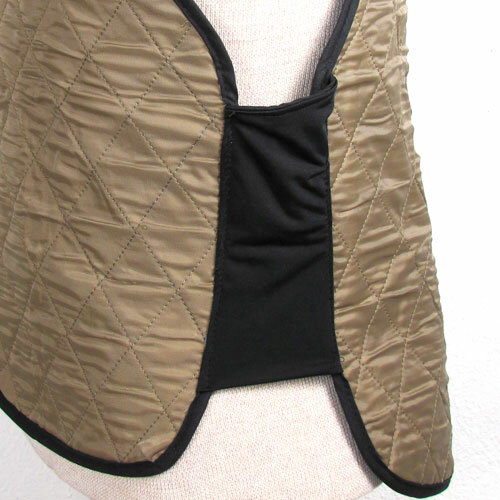 To see a sizing chart for this Cooling Vest, click on: Cool Vest Sizes. WE RECOMMEND YOU LEAN TOWARD BUYING UP ONE SIZE. They do not need to be tight to work well. Most people wear them over clothes. There is no need for a tight fit. 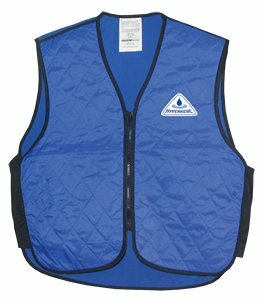 Works very well, i have tried it in some fairly hot weather and no complaints, it surprisingly keeps you cool enough to work outside for a few hours. I work in construction and planning on buying more.